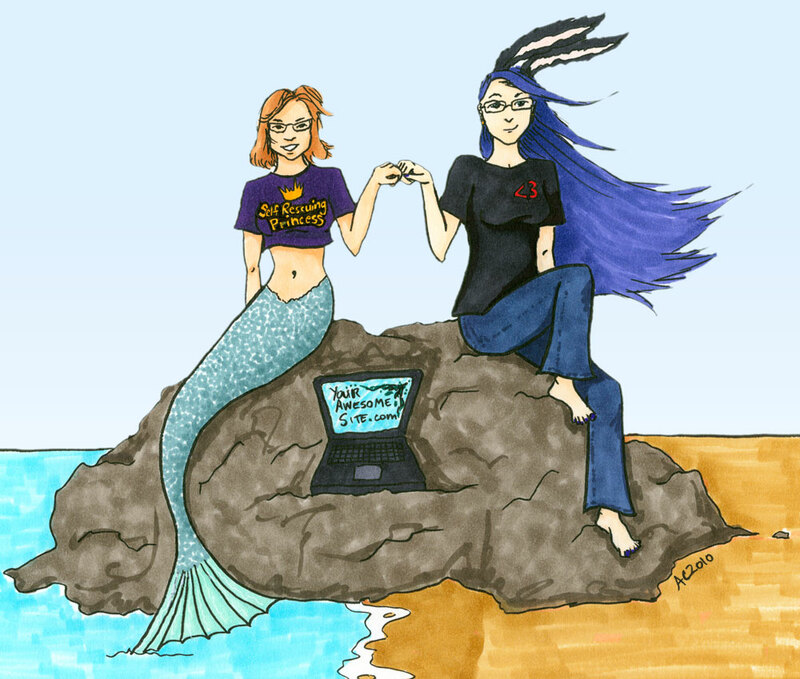 Today’s art is another cartoon, this time of me and Wendy Cholbi, tech mermaid. Wendy wanted to expand her WordPress Installation offerings to include a package with some design included, and so I drew up this image to go with our bios on the sales page. It was fun not only to make Wendy into a mermaid, but to give my hair a bit of extra color (in real life that color would be so hard to maintain!) as well as the bunny ears, and a couple of t-shirts from ThinkGeek that neither of us actually owns — yet. We’re also doing a free Website Color Clinic call on Wednesday to help people pick their own web palettes. 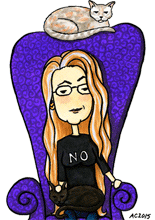 Come join us and listen to me babble nervously about color!